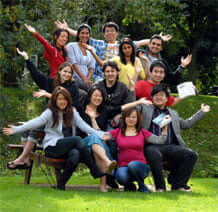 Friendships made at Buckingham last a life-time and the Alumni Department ensures that you can keep in touch. There is a network of in-country Alumni associations and a dedicated alumni website, AlumNet. Your degree at Buckingham will give you a first foundation to your future career. These are just a few of our successful alumni. Sara graduated from Buckingham in 1993 having studied English & European Law. She joined the British Olympic Association in February 2001 as Director of Legal Services from the global law firm Baker & McKenzie. 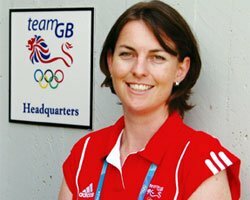 Her role at the BOA was very broad, including advising on disciplinary and doping procedures, constitutional and governance matters, IPR, sponsorship, licensing and support to Team GB at the Olympic Games. She has attended five Winter and Summer Olympic Games. She now works as the CEO of Table Tennis England in Milton Keynes. Wilhelm Bourne was born in Barbados. 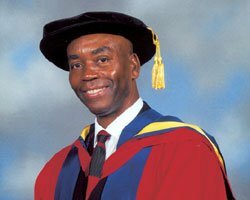 Following a successful career in the Bermuda Police Service (where he was promoted to acting Inspector) he resigned to pursue a law degree at the University of Buckingham, graduating in 1987. In 1990 Wilhelm was called to the Bar of Trinidad and Tobago, Barbados and Bermuda and later entered private practice in Bermuda. In 1994 he was appointed to the Attorney General Chambers (Crown Counsel), on occasion being seconded to act in the office of the Registrar of the Supreme Court. He was subsequently appointed Principal Crown Counsel and in 2001 Solicitor General in Bermuda. Wilhelm served as Deputy Governor for numerous periods between 2001 and 2006. At the end of 2006 he was sworn in as Attorney-General of Anguilla, West Indies, also serving on the Executive Council and the House of Assembly for Anguilla. He was awarded an Honorary Doctor of Laws by the University of Buckingham in February 2008. 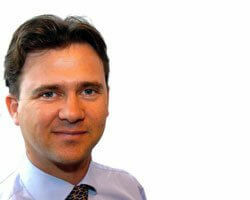 Mark Lancaster read his first degree at Buckingham (Business Studies, 1992) before completing an MBA at Exeter University. He served briefly as an officer in the Queens Gurkha Engineers in Hong Kong then returned to work in the family firework manufacturing company. Mark continues to serve in the Territorial Army as a Major and he spent the 2006 summer recess on active service alongside British troops in Afghanistan. This was the third time that Mark has volunteered for active service since 2000, having previously served as part of the NATO peacekeeping force in both Kosovo and Bosnia. Following his election to the UK Parliament in May 2005, representing the Constituency of North East Milton Keynes, Mark Lancaster was promoted to the Whips Office in October 2006. Prince Olagunsoye Oyinlola attended the Nigerian Defence Academy and was commissioned as an officer in 1971. He has studied at Obafemi Awolowo University in Nigeria, the University of Madras in India, the University of Ibadan in Nigeria and holds a Law degree from the University of Buckingham. Having trained at the Nigerian Defence Academy, as well as military institutions in Britain, Pakistan, India and the United States, Prince Oyinlola followed a fulfilling career, reaching the position of Brigadier-General, from which he retired in 1999. He is currently Governor of Osun State and a member of Nigeria’s Presidential Committee on United Nations Reforms. Prince Oyinlola has received honorary doctorates from the Ladoke Akintola University of Technology in Ogbomosho and also the Federal University of Technology in Niger State. 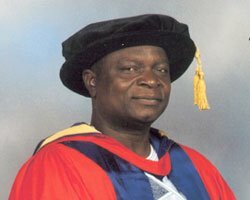 Prince Oyinlola was awarded an Honorary Doctor of Laws by the University of Buckingham in 2007. 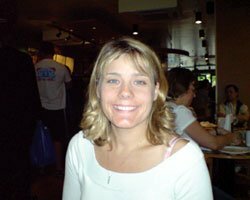 Kelly Smith undertook a PhD as a collaborative project between the Clore Laboratory, University of Buckingham and the pharmaceutical company GlaxoSmithKline. The skills gained have been essential in her career development since leaving the academic environment and entering the commercial world. Since completing her PhD Kelly has been employed as a Medical Writer and currently works for a company specialising in providing medical writing services to major pharmaceutical companies. She is involved in the production of a wide range of high quality documents, including documents to be submitted to regulatory authorities in the EU and US in order for new drugs to be licensed, as well as manuscripts for publication and educational material. She operates in a challenging, constantly evolving environment and has worked on projects across a variety of therapeutic areas, including stroke, motor neuron disease, psoriasis, opiate dependency, prostate cancer, gout, cartilage repair, migraine and obesity. Weiyou Cui graduated from Buckingham with a first class honours degree in Computer Science with Business. 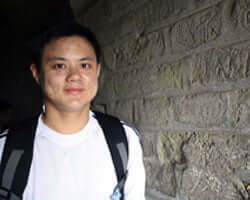 He continued his postgraduate studies at the University of Southern California in Los Angeles, focusing on the research area of multimedia and high bandwidth computer networks. In July 1999 Weiyou joined Microsoft Corporation in Redmond as a software design engineer in testing. Over the past nine years at Microsoft he has helped the company release five major versions of Windows operating system products and a number of service releases. He is currently leading a team of more than fifty software developers and testers to provide a set of centralised testing services to internal customers in the Core Operating System Division. Get in touch with the Alumni Office and let us know what you are doing now! Email us on alumni@buckingham.ac.uk, call us on +44 (0)1280 820210, or come to our alumni and supporter events. Find out what it is really like to be a student at the University of Buckingham here.